The following procedures are useful while installing bollards. If you have a set of site plans, make sure the plans coincide with the actual layout, and that you know exactly where each bollard will be placed. Check with the city to determine the types of permits you need before starting. Know if there are any hidden utility lines (electric, water, gas, etc) before you start digging. Make sure the area is clear of all dirt, and debris before starting your project. Use a tape measure and chalk line to mark each bollard location precisely. Use an auger or some other digging apparatus to prepare the holes for the bollards. You need to dig according to your plans and the types of bollards you are installing. Once digging is complete, be sure to tamp the excavated surfaces to compact the soil before pouring concrete. You will want at a minimum of 6 inches of concrete surrounding the circumference of each steel pipe. Make sure your excavation efforts allow for these measurements. Place the bollards in the proper location and begin to pour concrete to the desired level. Ensure the steel posts are level and plumb while working and get them set properly before the concrete sets. If you are going to have a concrete surface go ahead and prepare the surface with your float or trowel, or prepare the surface for the proper surface. What are the uses of bollard? Decorative Bollards: this kind of bollards are useful in decorative barriers outside your business and they determine the circumference of that are solely visible. 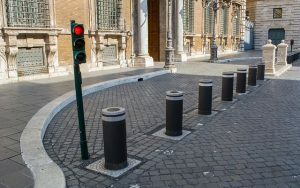 Set up methods for bollards are generally put into place when the intended function is either landscape or architectural. This is because security and anti-ram post normally are not utilized in decorative applications, it will offer little resistance. While setting them up, they are very easy and quick to install. In this case, there is the use of concrete anchor or anchor casting and thread rod. Removable Bollards: Bollards can be set up for allowance of removal. The removable procedures set up are designed for selected bollards and require special mounting. This kind of bollards gives out little resistance. Retractable Bollards: they are used in an area where the access requirements can change. Fold Down Bollards: they are used to stop unauthorized parking from reserved parking area. Besides they can act as an entry deterrent in changing the access applications. Flexible Bollards: They are used in traffic applications where there is an expectation of being struck by errant vehicles. Furthermore, they act as a guide. Their set up is easy. Concrete Bollards: They are used to offer both versatile design and robust impact safety. Solar-powered Lighting Bollards: They are utilized for boosting safety and accentuate a landscape’s natural and architectural characteristics. They depend on themselves as they do not require hardwiring trenching or cabling. They come as a result of innovative in light technology. Asset Safety Bollards: they are designed to offer protection to details and silos asset indoor applications. 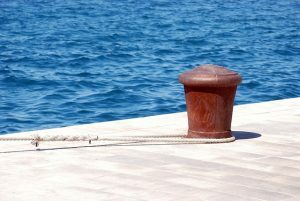 Maritime Bollards: They are either wooden or iron posts found as a deck fitting on a ship or boat. They are used to secure ropes for towing or mooring. That is pretty much it for the types of bollards you will find out on the market today. 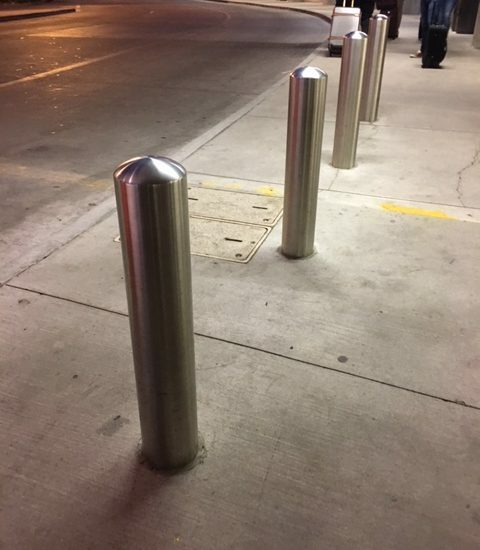 If you need assistance with installing these types of bollards call on the professionals at http://www.parkinglotstripingaustin.com/ . They will help with the installation or can even help you in determining the types of bollards you will need at your business location.